Stepping into Birmingham will open you to a world of delight. Tagged as the financial and commercial hub of the English Midlands, it offers the base for unchecked growth and prosperity. Its great community feels backed with rich culture and heritage is appealing. Thus moving to Birmingham has invariably been on cards for families and businesses alike. As reputed removals in Birmingham, we at CBD Movers take onto us to provide reliable and dependable removal services in Birmingham, thus helping every client positively into their new way of life. It’s our endeavor to make every move stress-free. We believe in exceeding expectations. We ‘customer first’ approach ensures that every client receives the most appropriate removals services every time. To help us in our endeavor is our wide range of man and van services in Birmingham. Right from planning and organizing a move to getting down packing, loading and moving belongings; we undertake and execute every phase with unmatched skill and competence. We have the best resource in the form of a man with a van. Aided by the finest removals gear, moved by well maintained and fully overhauled removal vans and managed by the most competent removals Birmingham men; we are unarguably the most preferred movers in Birmingham. With the required licenses and permissions in place, we are legally authorized to move all throughout the region. do we do it without compromising on quality? We operate in bulk and cut our costs. The benefits of cost economy are passed on to the client in the form of reduced rates of hi-end relocation services. Our feature to customize services to meet individual needs further helps the client avail and pay only for the most appropriate removal jobs. To undertake the cheapest removals in Birmingham, we promise to beat every written removal quote by 10%. If you too are planning to relocate to the beautiful and affluent city of Birmingham, let us be the one behind your move! 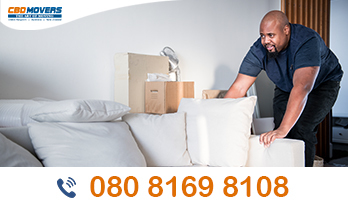 At CBD Movers we offer the most professional and effective removals services. Our superior packing and meticulous execution register a safe and timely move. Our Man and Van in Birmingham service are all-equipped to handle removals in Birmingham in a systematic and phased fashion that too at the cheapest rates. Get in touch with us today and enjoy customized moving services 24X7, 7 days a week!